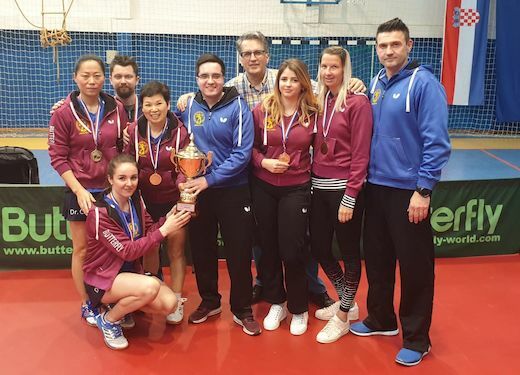 Current European Champions League Women champion, Dr. CASL successfully defended its title in the National Championships of Croatian (HEP Superliga), as it beat twice in the final Varazdin, 4:1 at home and 4:0 away. Four weeks ago, they lifted the trophy of the Croatian Cup. "Second leg was a tough ending of the season in the domestic league, bearing in mind all the problems we had. But, we managed to defend both titles in Croatia and reach ECLW final twice in a row. There is no pressure at all, as we already won everything we could. My only wish for all my players is to stay healthy after 2019 World Championships. After HEP Superliga final we can turn our focus on the ECLW final against Tarnobrzeg, "said Dr. CASL President Martin-Tino CASL and stressed that Dr. CASL is the most successful Croatian club in all sports and the unique Champions League winner from that country in this century.